Over 100 years ago, before the opening of the Panama Canal in 1914, a ship wanting to sail from New York to California, would have needed to sail all the way down to the tip of South America, and add an extra 13,000kms to its journey, to complete it. 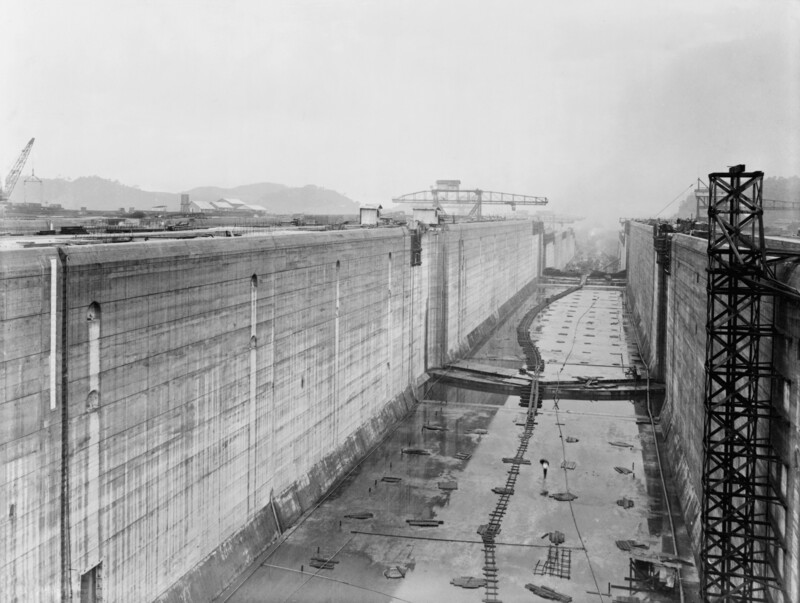 So it’s fair to say that the building of this canal, the largest-ever engineering feat of its kind, is also one which completely revolutionized cargo transport, not just in the Americas, but the world over.Nowadays, the Panama Canal is almost taken for granted, and we’re quite sure there are some out there who don’t even realized that the connection between the Pacific and Atlantic Oceans, in Panama, was man-made. It was during the 1530s that the then King of Spain (Charles V) sent out surveyors to study the possibility of carving a canal, facilitating travel from Spain, to Peru. This would have arguably given them military advantage over their colonial rival, Portugal. The idea emerged after Spanish explorer, Vasco Nunez de Balboa, reported that the only thing separating the two great oceans was a narrow land bridge. At the time, however, experts deemed the building of such a canal ‘impossible’. Although the Spaniards had given up on the idea of building a canal, many other major world powers did not. The allure of tremendously beneficial economic consequences was incentive enough to convince France to have a go, something it did in 1881. Within less than a decade, the construction company which initiated works had gone bust, more than $250 million were pumped into the project, and more than 70 million tonnes of soil had been dug up. And then they stopped. 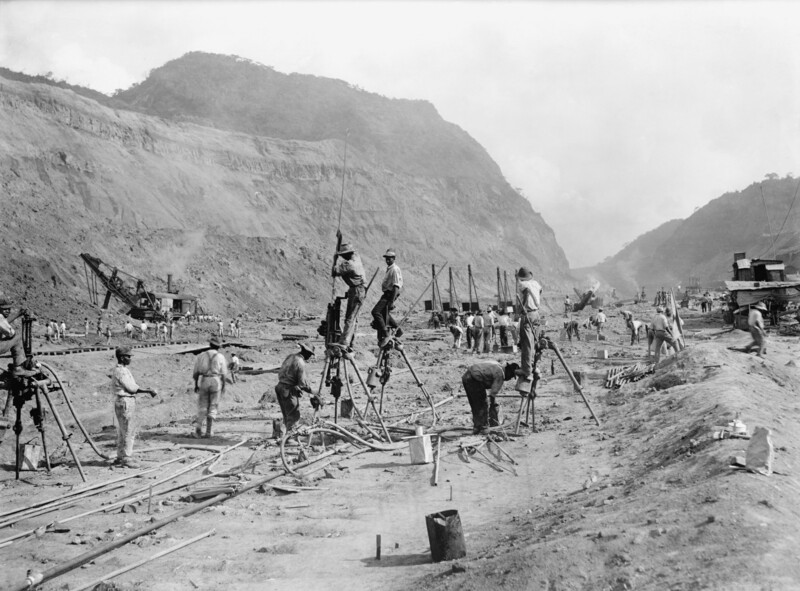 When the Americans ‘started’ building the Panama Canal, in 1904, they first had to pay $40 million to France: $10 million for excavation equipment and $30,000 for ‘services rendered’. Whilst the French were busy stuffing things up in Panama, the Americans had turned their attention to Nicaragua, surmising that it was a much more feasible project. The collapse of the French construction in Panama, however, was incentive enough for the Americans to turn their attention elsewhere. In 2013, a Chinese Hong-Kong based company made a deal with the Nicaraguan Government to build a canal there. Panama may soon have some stiff competition. The human toll during construction of the Panama Canal is given as one of the pivotal reasons why the French project failed so miserably. Conditions at any time in this forest-brimming tropical region, let alone a century and a half ago, are very arduous. Most workers died of diseases like malaria and yellow fever, which came on fast and spread like wildfire. Of the total number of dead, 20,000 were French and 5,000 Americans. What saved so many American lives was the fact that by the turn of the 20th century, scientists had finally made a link between diseases and mosquitos in the tropics, thus enabling them to come up with plans to eradicate the nasty biters and improve conditions for workers. 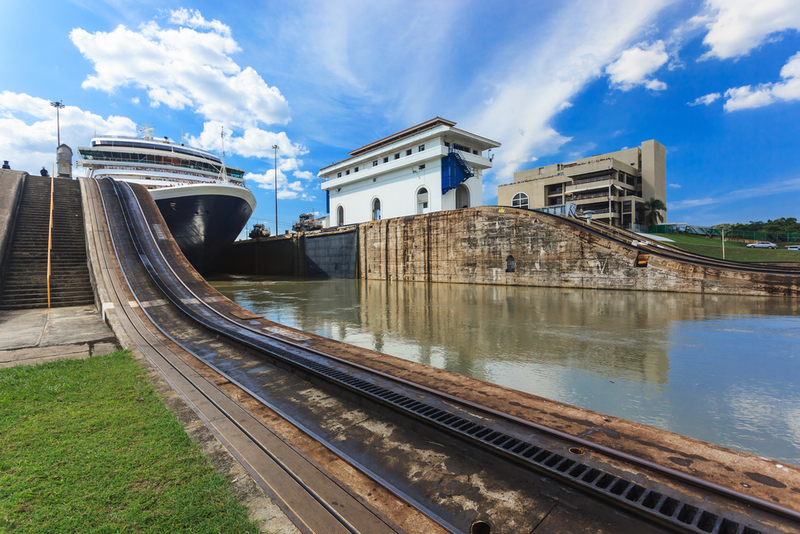 An estimated 14,000 ships navigate through the Panama Canal every year, starting their voyage from more than 1,700 port towns, in over 160 countries the world over. A system of locks raises and lowers vessels an incredible 26 metres, with specially trained ship captains taking over control of vessels for the duration of the crossing. The locks were built in pairs, so two ships can travel through the Canal simultaneously, either in the same or opposing direction. Not only is work on the Panama Canal a near-constant affair, but as of 2016, it’s still not big enough to allow passage for some of the world’s largest cargo vessels, some of which are 60 metres wide and can carry a staggering 18,000 containers. In fact, experts estimate that the Canal misses out on about 30% of the cargo transport market share, due to it simply being too narrow. There are dockyards which build cargo ships specifically to allow passage through the Panama Canal, by maximum size allowable through the locks. These vessels are known as Panamax. Tolls for passage range from just a few hundred dollars for small vessels, to hundreds of thousands for very large passenger and cargo ships. Tolls are dependent not just on size of vessel but also the type of cargo it carries. The average toll hovers around the $50,000 mark, and the most expensive passage totalled $375,600, forked out by the Norwegian Pearl cruiseliner in 2010. American intrepid adventurer, Richard Halliburton, swam the entire length of the Panama Canal in 1928. Due to his weight of 68kg, he was quoted a crossing toll of 36 cents, which he insisted on paying. Want to experience the thrill of crossing one of man’s most magnificent feats of engineering? Then check out our Latin America adventure tours to Costa Rica and Panama – we even offer a dedicated Panama Canal crossing tour – and pay homage to this incredible New World wonder.